Anyone who knows me knows that I’m not really one for domesticity. I abhor cleaning and I’m not a fan of labouring in the kitchen, but in one’s life, these two activities can’t really be avoided. I live right in the middle of the city, so often times I’m not home, allowing me to go days, or even weeks at a time without having to deal with these mundane tasks. While cleaning is not directly necessary to sustain life, eating is … I’m not pointing out anything new there! Even though I kind of hate it, I decided I would become more of a chef. Seeing as I have to eat everyday, and that eating out adds up both monetarily and calorically, the move towards home-cooked meals made sense. One of the major things that I like about eating out is the variety – I could choose which type of cuisine I wanted to ingest – Asian, West Indian, Italian, et cetera – and within those categories, I’d have an abundance of choices. As a cooking novice, I would not be able to have such variety. So I decided to choose only a few different recipes that I was fairly certain I could cook satisfactorily. 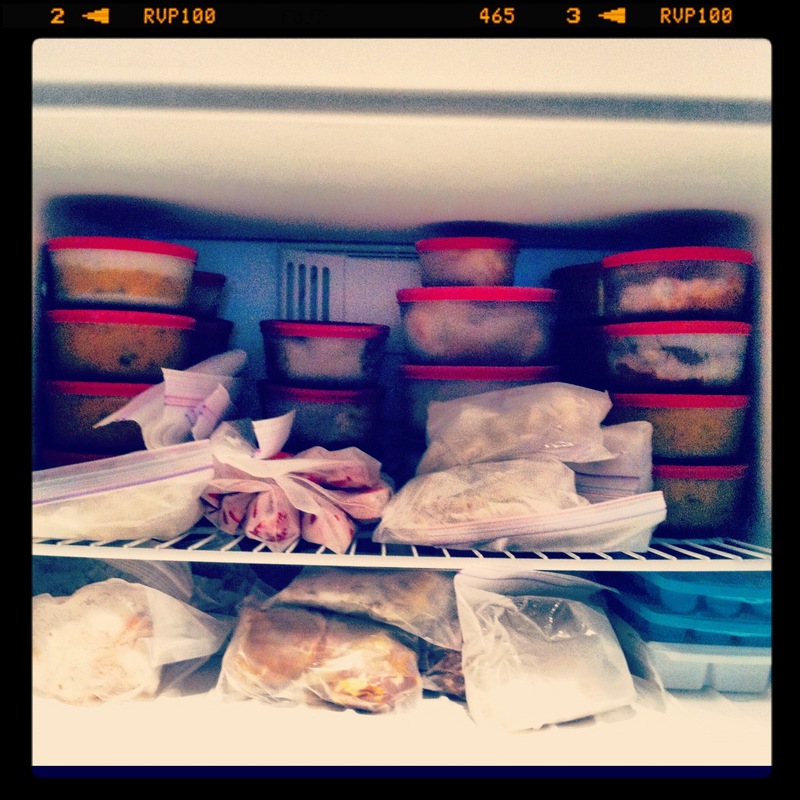 And because I didn’t want to spend every weeknight taking care of my food situation, I decided to freeze everything. 7 hours of spinning around the kitchen later, I had a freezer that was packed to the rafters. I made enough food to last me 4 weeks! I was so proud of myself. I spent less than $100, a significantly lesser amount of money that I would have spent on food otherwise. Do you know what that means? More shoes!